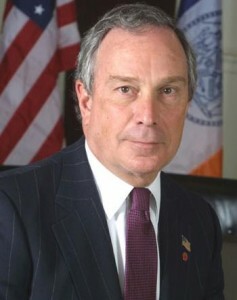 On June 19, New York Mayor Michael Bloomberg announced he was leaving the Republican Party. By doing so, he sparked a new round of speculation that he’ll soon announce a run for president or vice president as an independent candidate in 2008. The issue now becomes what he will do. As of press time, Bloomberg still hadn’t ruled himself in or out of the race, issuing only the kind of non-denial denials typical of candidates thinking about a run. But, because of term limits, his time as mayor is up in 2009 no matter what. He’s never expressed any interest in running for governor, and he’s been steadily raising his national profile in the past two years. He’s spoken out in support of stem-cell research, hosted a national conference of mayors to work on increasing gun control and was outspoken in his opposition to the Supreme Court nomination of current Chief Justice John Roberts. This summer, he also met with top political consultants – including Al From, founder of the Democratic Leadership Council (and a major force behind Bill Clinton’s election) – to discuss his options. And in 2007, he took four trips abroad, including a March stop in Israel for a Holocaust commemoration ceremony. Bloomberg also has an advantage when it comes to money. As founder of the world’s largest financial news company, he has amassed a fortune estimated as high as $12 billion (Forbes lists him among America’s 50 wealthiest people) and has shown a willingness to spend his own money in support of his candidacy. If he ultimately enters the race, Bloomberg would be the first serious Jewish presidential contender since Sen. Joe Lieberman (Al Gore’s vice-presidential choice in 2000) ran a short-lived campaign for the Democratic nomination in 2004. (The 1964 GOP nominee Sen. Barry Goldwater was half-Jewish biologically but raised Christian.) He would also be joining a historic field, as a female candidate and an African-American candidate (Hillary Clinton and Barack Obama) are among the Democratic frontrunners. With no sitting president or vice president in the race – and with both major parties fielding at least three candidates who could realistically win the White House – this is the most wide-open presidential contest America’s seen in a long time. Soon, America will find out if New York’s Jewish mayor will be part of it.